To generate a report that includes data, Geocortex Reporting queries the report's data sources for the data. In the simplest case, a report includes data from a single table in a data source. This requires a single query. In more complex cases, a report may include data from multiple tables in the same or different data sources. This requires multiple queries, one for each table. Add a data source to the report: This creates the query. 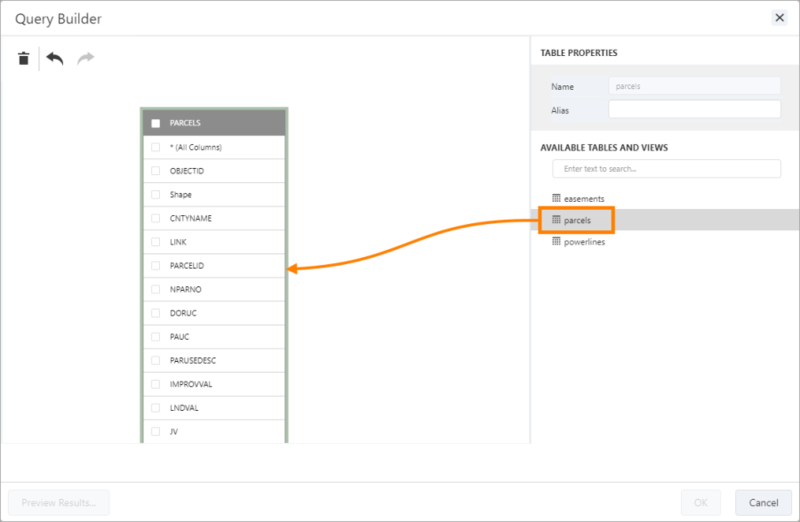 In this step, you specify which fields you want the query to return so that you can include those fields in the report. If you select an entire table, then the query will return all the fields. You can modify the fields later if necessary. Add filter conditions to the query: Filter conditions restrict the records returned by the query. For example, you could filter for records in which the value of the POPULATION field is greater than 100 000 and less than 500 000. 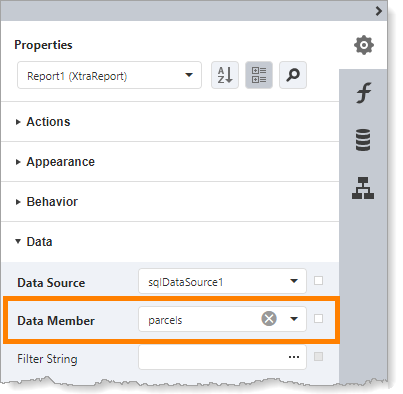 Configure a report parameter: Report parameters are input parameters. 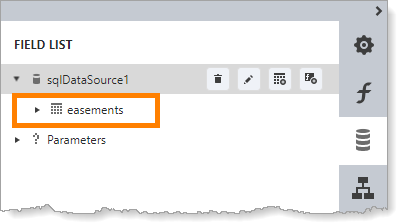 You can use a report parameter to pass ArcGIS feature IDs into a report at run time. 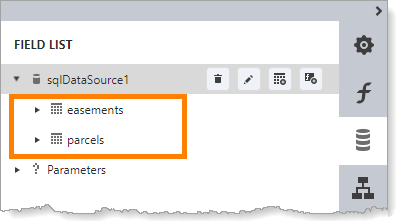 Add a filter condition for the report inputs: In order for a report parameter to affect which records are returned by the query, you must bind the report parameter to a query parameter in a filter condition. For more information about report inputs, see Include the Current Features in a Report. Add all the filters conditions at once. Value: A literal value, like 'Clarke' or 152. Property: The value of a field, for example, [Waterways.Name]. Parameter: The value of a query parameter that is calculated when the report runs. This option is used for reports that take inputs. See Include the Current Features in a Report. Default Mode: The default mode allows you to define the filter expression as a hierarchy of conditions grouped by operators. The Filter Editor offers auto complete suggestions so you can select fields, properties, and query parameters, instead of having to type them in. Initially, the expression consists of a single operator: . Hovering the pointer to the right of the operator shows the plus icon that you click to add groups (operators) and conditions. Advanced Mode: Advanced Mode allows you to type in the filter expression. To show the editing area for Advanced Mode, select the Advanced Mode checkbox. Click Fields to open the Field List, and then expand the data source. Click the table to show the management buttons. Click Edit Query to open the SQL Data Source Wizard. In the Query Properties panel, click the icon in the Filter box. 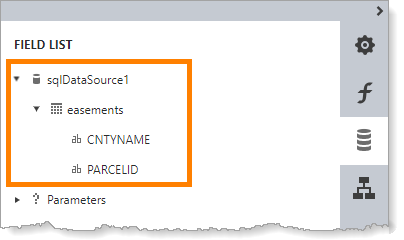 Adding a data source to a report creates a query that returns the specified fields. You can modify the query later to return different fields if necessary. Click Add SQL Data Source to open the SQL Data Source Wizard. Select the data source and click Next. Click Tables to show the tables in the data source. If the data source is a map service or feature service, the service's layer and tables are listed under Tables. To show the fields in a table, expand the table. If the data source is a map service or feature service, the fields are feature attributes. Select the checkbox for each field that you want to be available to include in the report. These are the fields that will be returned when the data source is queried. To verify that the data source has been added to the report, click Fields to open the Field List, expand the data source, and expand the table. In the Query Properties panel, click the icon in the Filter box to open the Filter Editor. Click the plus icon beside the And operator and select Add condition. Click the blue box, expand the table, and select the field that you want to use as the condition's first term. Click the green box and select the operator for the condition. To compare the field value to a literal value, type the value in the gray box. To compare the field value to another field's value, click the arrow in the gray box, select Property, and select the field. Click away from the condition. Select the Advanced Mode checkbox. Type the filter condition in the box. Repeat the previous step to add as many conditions as you want. 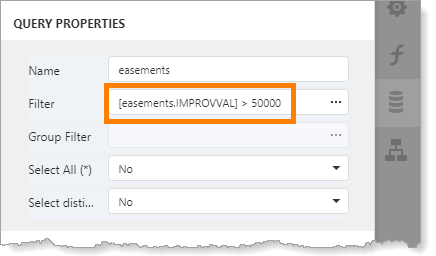 The filter expression appears in the Filter box in the Query Properties panel. Click OK to close the Query Builder. Click Finish to close the SQL Data Source Wizard. The SQL Data Source Wizard opens. The Query Builder opens. The table is shown at the left of the Query Builder. Select the checkboxes for the fields that you want the query to return. Clear the checkboxes for the fields that you don't want the query to return. This procedure shows you how to change a report to use a different table within the same data source. To do this, you add the new table to the report and then remove the original data source. If the new fields have different names than the original fields, you will have to update the report's layout. Click the data source to show the management buttons. Click Add query to open the SQL Data Source wizard. Click Run Query Builder to open the Query Builder. Drag the table you want to query from Available Tables and Views and drop it in Query Builder. 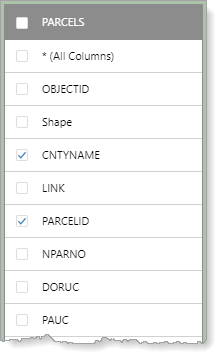 Select the checkboxes for the fields that you want returned in the query. Click OK to close Query Builder. The data source now has two tables. If you want, configure filter conditions on the query. See Add Filter Conditions to a Query. Update the fields in the report's layout, if the field names are different. Select the report (XtraReport) from the Properties drop-down list. Expand Data and set Data Member to the new table. The Data Member property appears in both Data and Actions. You can set the property in either location. Click Fields to open the Field List, and then expand the data source if necessary. Click the original table to show the management buttons. Click Remove query to remove the table. Press Ctrl+S to save the report. To verify the report, preview it . This procedure shows you how to change a report to use a different data source. To do this, you add the new data source to the report, configure it, and then remove the original data source. If the fields in the new data source have different names than the original fields, you will have to update the report's layout. Configure the connection information for the new data source, if necessary. See Configure a Data Source. Add the new data source to the report. See Add a Data Source to a Report. Update the fields in the layout, if the field names are different. Click the original data source to show the management buttons. Click Remove Data Source .